Loral hops were released in 2016 and quickly became one of our brewers’ favorite varieties. 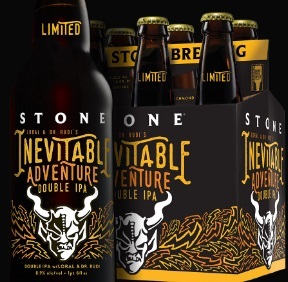 It was highlighted in our single hop IPA series, Stone Hop Revolver IPA, and was the featured hop in the hugely popular Stone Ghost Hammer IPA. Then there’s Dr. Rudi, which has been around since 1976. Originally known as Super Alpha, this hop brings classic piney and herbal notes, which pairs it perfectly with the oral, citrusy aroma of Loral. A pairing like this was bound to happen. Some might even call it inevitable.